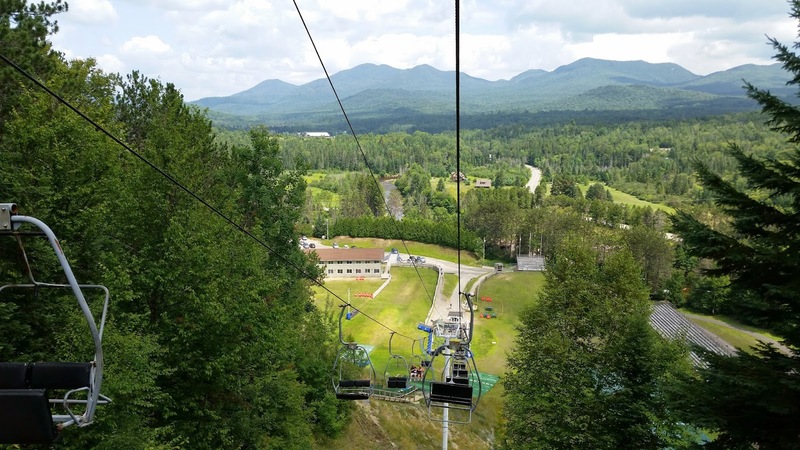 I'm still working my way through our camping trip to the Lake Placid area in early August, so this post will cover two activities: our hike up Owl's Head and our visit to the Olympic Ski Jump Complex. 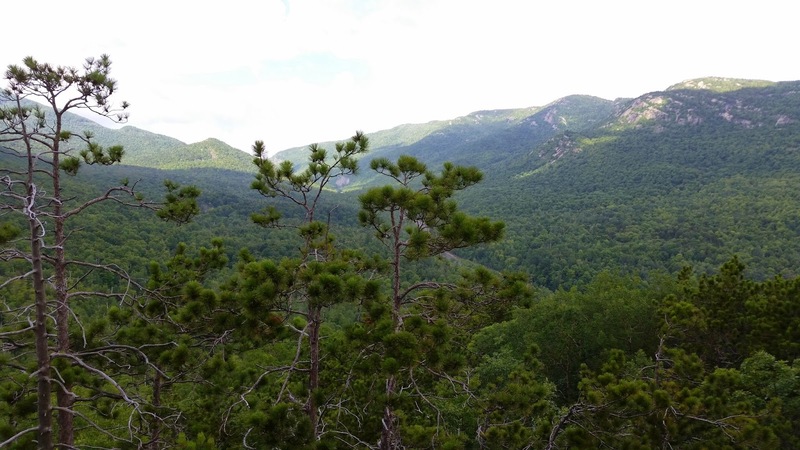 I wasn't up for any major hiking (and my husband never is), so Owl's Head seemed ideal. 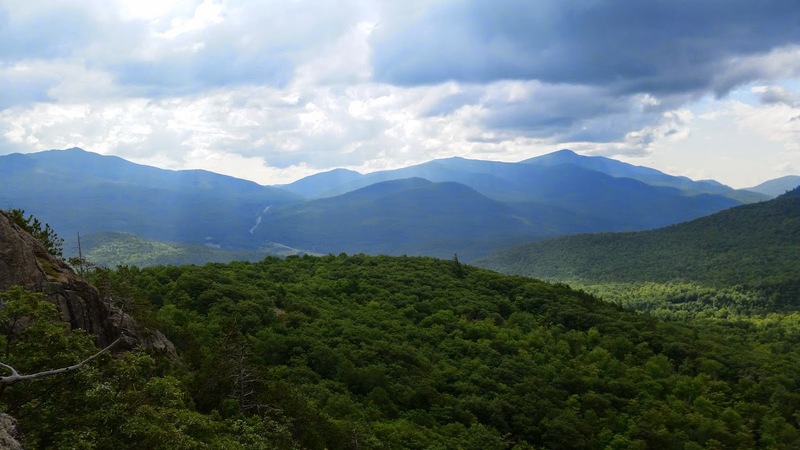 The trail is 1.2 miles round trip and the summit provides lovely views of the surrounding High Peaks. Our first attempt was thwarted by giant road construction vehicles using the road to the trail head as a staging area. So we went back the next day and were able to squeeze past and find a spot to park. The trail is quite popular and we saw lots of other hikers, but we managed to have the summit all to ourselves. The hordes arrived just as we were heading down. 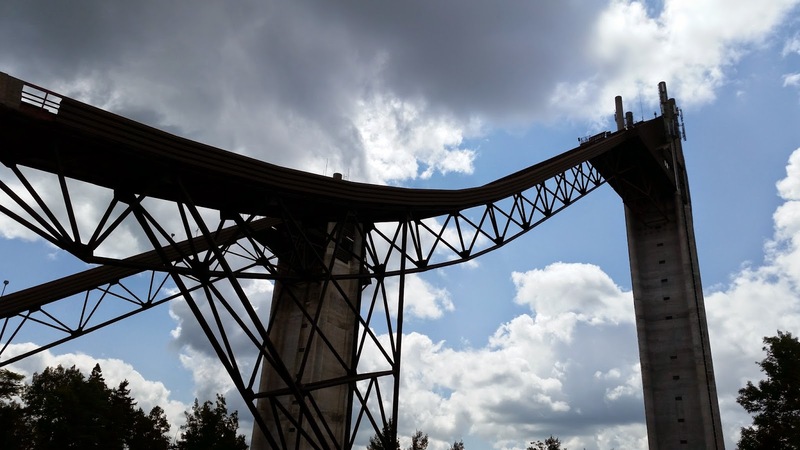 We've been meaning to make it to the Olympic Ski Jump Complex for the last couple years, but bad weather has caused us to put off our visit. Not this year. 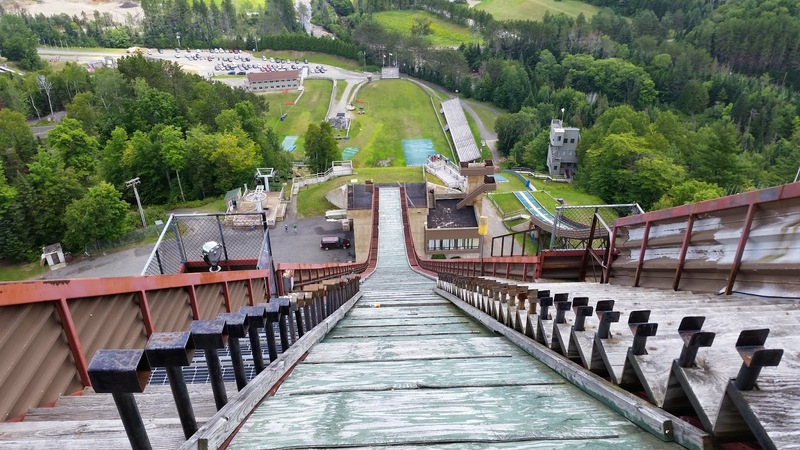 We got to watch some young ski jumpers jumping into swimming pools (crazy!). Then we rode the chair lift up to the base of the ski jump and then took the elevator to the top. It boggles my mind that real people intentionally propel themselves down those jumps. Good grief. This will probably be the last of the posts from this trip, but is you haven't done so yet, you can also read about our visit to Ausable Chasm and our Ben & Jerry's Factory tour.